Elsa High School graduates produce consistently strong results across all curricular subjects. 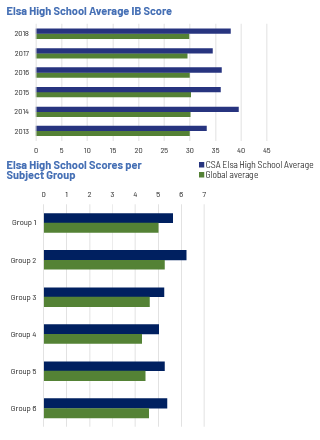 In the six years of graduating classes from Elsa High School, two of our students achieved perfect scores. Out of over 150,000 candidates worldwide annually, only 150-180 achieve a perfect score. Our graduating class of 2018 achieved an outstanding average score of 38, placing us 4th highest in Hong Kong. I'll always stay close with my classmates and teachers. How could I not? I grew up with them!